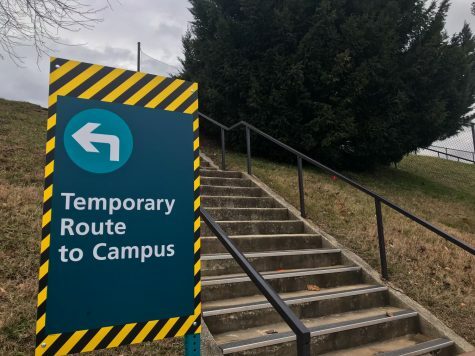 Construction on the Health and Life Sciences Building reroutes Ring Road through Lot C.
AACC’s construction project has redirected the flow of traffic for the new year. 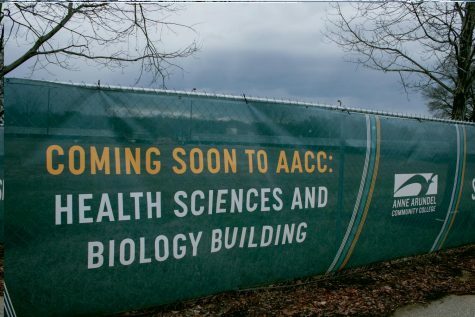 The ongoing construction of AACC’s new Health and Life Sciences Building, which began last summer, has led to multiple detours and rerouting along Ring Road. 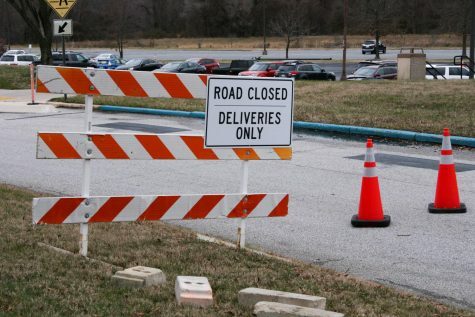 The most noticeable detour includes a large blockade in Parking Lot C. The construction has altered the route from campus to College Parkway significantly, forcing drivers to cut through Lot C to get to College Drive. 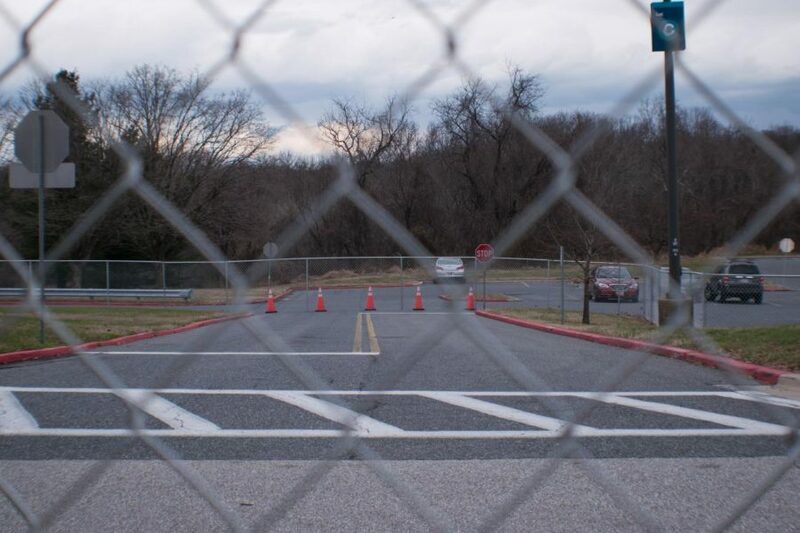 “Our hope is that people don’t use … C-Lot as their primary means of egress and access to the campus,” Beardmore said. The Lot C overflow lot, a roughly paved site behind Lot C, serves as an auxiliary parking spot. The changes affected bus routes as well. The LocalLink 70 Northbound bus route has diverted into Lot C and exits from College Drive onto College Parkway. The LocalLink 70 Southbound now enters campus from College Parkway at the Ring Road entrance. The altered directory maps around campus show students the accessible routes. An updated map online shows detours and parking changes. Beardmore also said most of Lot D will be off-limits. 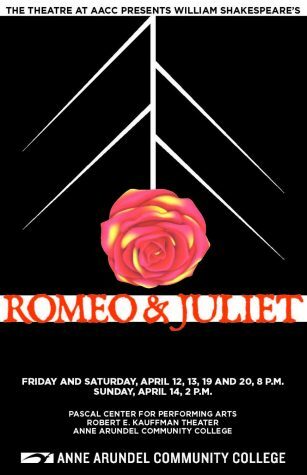 In addition, a number of ADA parking spaces have shifted from the construction area to Lot B, moving several reserved faculty spots closer to the solar panels and displacing some non-reserved spaces. 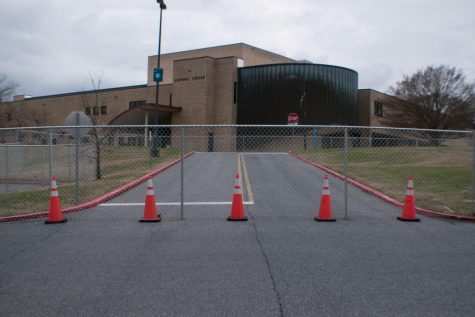 When construction finishes, a new parking lot will have replaced the old tennis courts. Until then, students and faculty can expect to sometimes park in overflow lots and walk farther to class. Some students said they expect the construction to inconvenience them.